There are a number of features built into today’s modern CNC controls that are designed to make life easier for the programmer, and each of these has its own special place in our personal box of “go-to” tools; tools that we use to be more productive. For me, Hurco’s Absolute Tool Length feature is one of those tools that I just can’t live without…and why would I want to? When it comes to conforming to industry standard protocols, Hurco has always been just a little different from other machine tool manufacturers…especially in the areas of part and tool setup; however, that has been changing lately. With each new release of the WinMax control software, Hurco engineering is building in a great deal of operator options that will allow the user to configure control settings to best suit their needs. In my opinion, one of the most powerful of these new features was the introduction of Absolute Tool Length – which, not only helps Hurco better conform to the industry standards that shops are used to, but it also opens the door for control enhancements that would otherwise not be possible: such as, part and tool probing enhancements, simplified part setups, and our advanced Universal Rotary feature for 5-axis programming. Put simply, Absolute Tool Length is a method of tool measurement that can be utilized by any number of different machine tools - whether it is a Hurco or one of the other brands that offer this level of flexibility to their customers. When using Absolute Tool Length calibration, the length of a particular tool is measured against the same standard as all other tools. 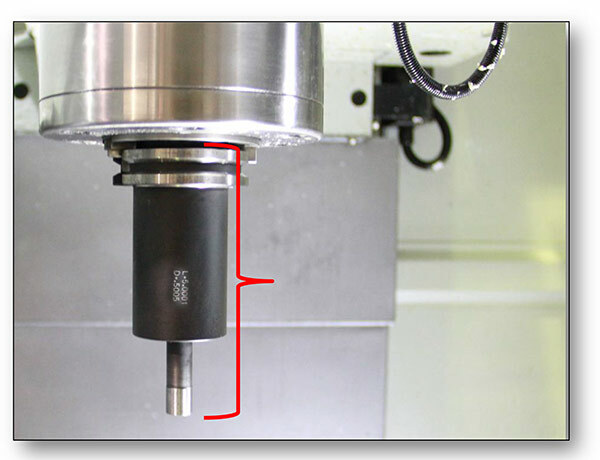 The length is calculated from the spindle gage-line to the tip of the tool. Since the spindle gage-line is an industry standard, this form of tool calibration allows the tool length to become machine independent…therefore allowing the freedom to move these tools between different machines without recalibration. Contrary to public belief, the spindle gage-line isn’t located on the spindle itself at all. It is actually a measured diameter that falls along the spindle or toolholder taper. 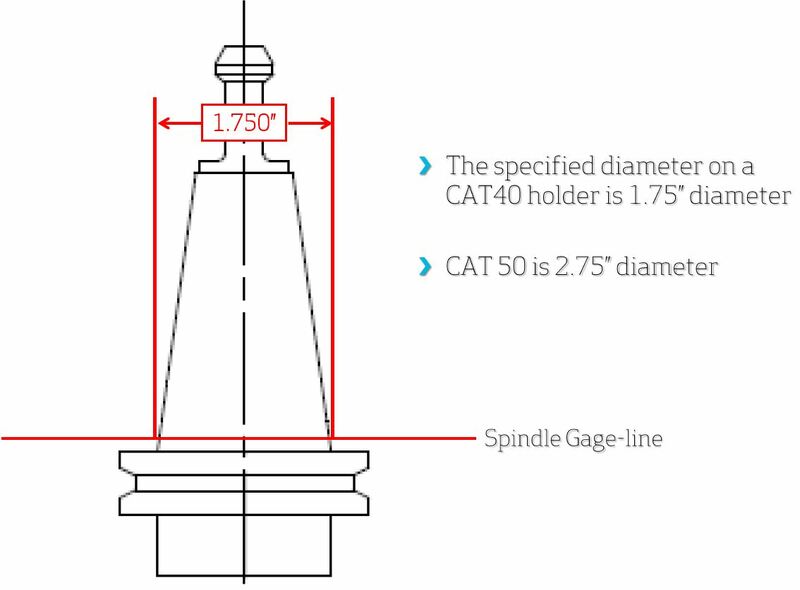 For CAT 40 tooling the magic diameter measurement is 1.750”; and 2.750” for CAT 50 holders. 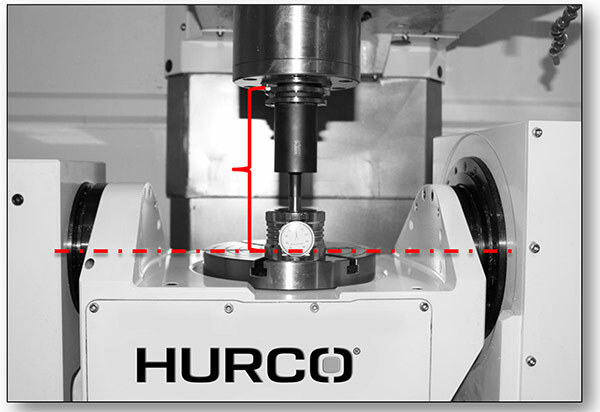 CLICK HERE for more detailed information on the application of Absolute Tool Length with your Hurco machine.